About Home Designer About us Home Designer is a turnkey project service for our busy clients who have little time for nitty-gritty's of Interior Design. Under this we undertake complete responsibility for Interior design services and Execution till handover and after sales service of your home / office. In a turnkey contract the client gets the best rates from the contractors, vendors and designers. All the client has to do is to finalise the quality preference like type of plywood, wood, hardware, type of plumbing etc and finishing items like veneer, laminate, marble, tiles, light fittings, curtains etc. 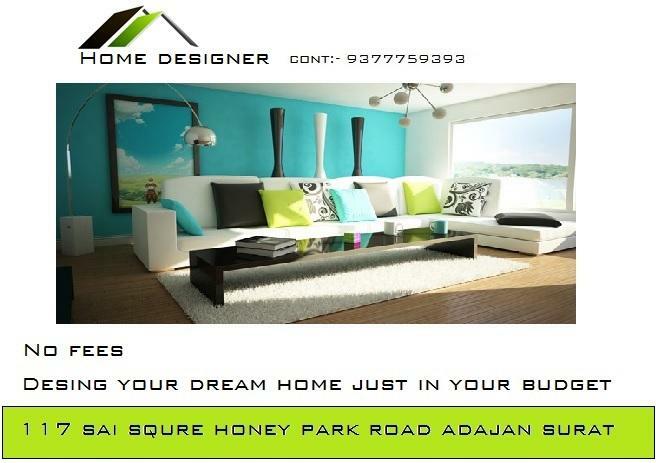 Home Designer is a team of young and dynamic designers and executors. The firm has been regularly appreciated by its clients. We are passionate about what we do and we thrive on the relationships we create. We start every day with enthusiasm and great feeling. We anticipate market trends and move quickly to embrace them. We are not afraid to take informed, responsible risk. Our mission is to create a legacy of inspiring places that enhance the environment and enrich the human experience. We work together to create well-thought, well-crafted places that artfully balance beauty with function. We do so while treating our clients, our co-workers and our communities with the utmost respect. We are bold innovators and passionate designers of extraordinary places.